Malawi President Peter Mutharika says every problem has a solution while every challenge offers an opportunity. “Let us come into the New Year with a positive Economic Mindset. For every problem, there is a solution. For every challenge, there is an opportunity,” said Mutharika in his New Year message. According to Mutharika, most countries have built great economies out of ruins and hence there is no need to be hopeless when facing challenges. “After all, hope comes where there are challenges. And courage comes where there is fear,” explained Mutharika. He said economists at the International Monetary Fund have projected that in 2017, the global economy will grow at the rate of 3.4% and the Malawian economy will exceed that and hit 5% growth. 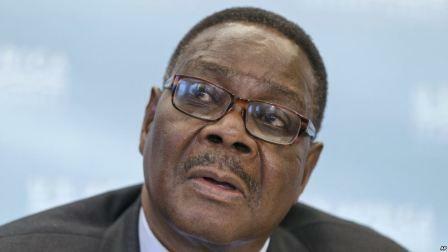 Calling Malawi a land of opportunities, Mutharika asked citizens to believe in their capacities. “We must have the right investment mindset. Coupled with the various public sector reforms and zero tolerance to corruption, Malawi has become one of the most attractive places to invest. While Foreign Direct Investment is on the rise, I want to encourage my fellow Malawians to take advantage of the improved investment environment and invest. “In our individual lives, families and businesses, no matter how little, we all have something we can build on and invest. Most of us have assets that we can turn into capital. I know a boy who walked from his village to the city and sold his old radio to start a humble business. Out of that radio, he became a vendor and today he is big in businesses,” said Mutharika. The Malawi President said determination is one of the catalysts for success citing some people with disabilities who are defying the odds. He cited a story of such one personality. “I have seen a man with visual disability – a man who cannot see, growing crops in his field, building a house and improving his household. According to Mutharika, while the task of the government is to create an environment for individuals to prosper the reality of life is that there may never be a perfect environment because challenges are part of life. In his New Year message, the Malawi leader bemoaned the tendency of some people whose preoccupation is to spread negative perception every day. “Their goal is to ensure that you and I are driven by a negative mindset. Every day, they want you to believe that we are failures. They want to undermine our determination to succeed by making us believe that we are failures. But I say to you, never think like a failure. “They want you to believe that nothing is happening, simply to undermine everything that is happening. And I say to you; never allow anyone to make you undermine your country. In the year 2017, let us rise above and say no to negative mindset! The ability to achieve greater goals is founded on a more positive mindset,” explained Mutharika. Because every problem has a solution, Mutharika said in 2016 some Malawians chalked some success. On corruption the Malawi President said fighting corruption is long drawn war.